Which part of the set was used for part of the third hour? It seemed like two square video walls that connected, much like in 3a. It didn't seem to be there in October when I visited the set. Could the upstairs have been redecorated? It’s almost certainly the upstairs were redone with video walls. It’s the corner nook opposite the kitchen that previously had shelving and faux windows (with optional window grilles) inbetween. From what I’ve seen the only area untouched is the windowed corner studio with the large movable flatpanel - and that rarely airs. Edit : That set area wasn’t used much (from what I saw in the first week of the new year) and Megyn Kelly’s Studio was dismantled after the January 4th 3rd Hour show. Giving them more than enough time (two days) to remove the wall units and install the wall. Edit 2 : It’s almost certainly a easier install compared to that large curved screen which probably took a while and may have required permits as they’d have to move walls. But it’s proved it’s versatility. As for the corner screen with certain images it looks like they are at a flat screen. Was 1A not essentially a rectangle? I honestly don’t remember. I think it was more L Shaped. When they went HD (2006) and completely renovated it they changed the layout and even filled in a hole that was between the two floors above the first floor kitchen. I imagine if they stripped away the curved monitor wall and the area where the Orange Room is shows a L Shaped area. Additionally it turns out that the bookshelves and window nook area across the kitchen is still there so the 90°wall was put elsewhere upstairs atleast according to newscast studio. Why not just embed the video? Well this shows that it wasnt the upstairs set. Shall I go and book my ticket now? I honestly don’t know where else they could put it. From what I understand the upstairs area is significantly smaller. I’m sure the only option was above home base (as newscast studio confirmed). But I can’t imagine it looking that decent from the street unless they put more exterior panels in. Edit : Just watched the 8AM open and they did a JIB pan and you could see the second level. All that you can see from where the windows were are white walls (set further inside from the existing white areas from between the two floors). There was a electrical fire today which caused Fox News Sunday to relocate their show to the local Fox affiliate, WTTG. Normally they come from 400 North Capitol Street NW - the same building NBC and C-SPAN have studios in. NBC’s Meet The Press is unaffected as they come from the main DC Bureau. 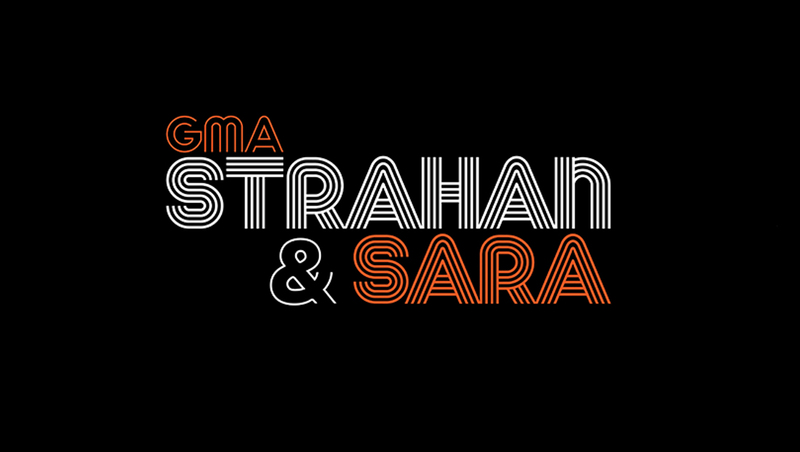 So Good Morning America spin-off 'GMA Day' has been rebranded after a few months, now called 'Strahan and Sara'. New set furnishings and different presentation. They no longer open from a desk but low chairs. Doesn't work for me but clearly they're capitalising on what I assume is a popular duo. My God, this is going out nationally? It screams low-budget, mid-market local station. 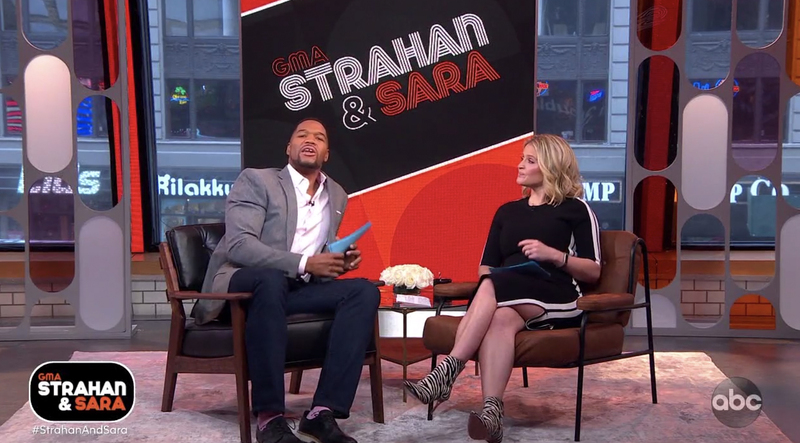 Orange on black is an interesting colour choice for a morning show.